Ingredients: Serving Size:6 tablets (6 grams) Amount Per Serving % of DV Calories 22 Collagen 6g ** Total Fat 0g 0% Cholesterol 0g 0% Sodium 30mg 1% Total Carbohydrates 0g 0g Vitamin C 60mg 100% (as Ascorbic Acid) % of Daily Values Based on a 2,000 Calorie Diet. Other Ingredients: May Contain Stearic Acid, Magnesium Stearate, and Microcrystalline Cellulose as binders to allow tableting. 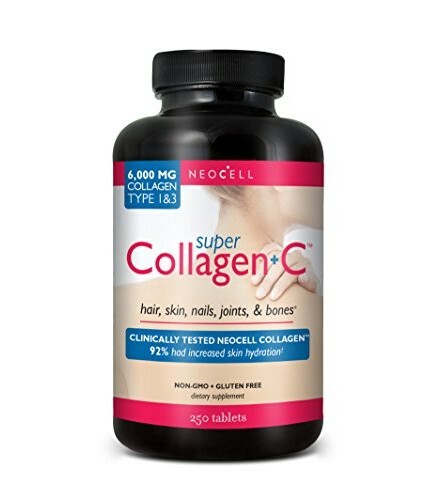 * Collagen Powder contains 6.6g protein only, no binders or fillers.